Power Shovel Read is a great wrinkle to the power read. 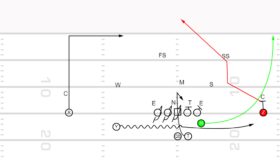 It is easy to install because the blocking is the same for the OL but the backfield is a very different look for the defense. 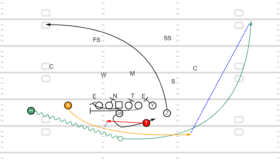 By having the H as the inside run instead of the quarterback, it allows for a triple option wrinkle. 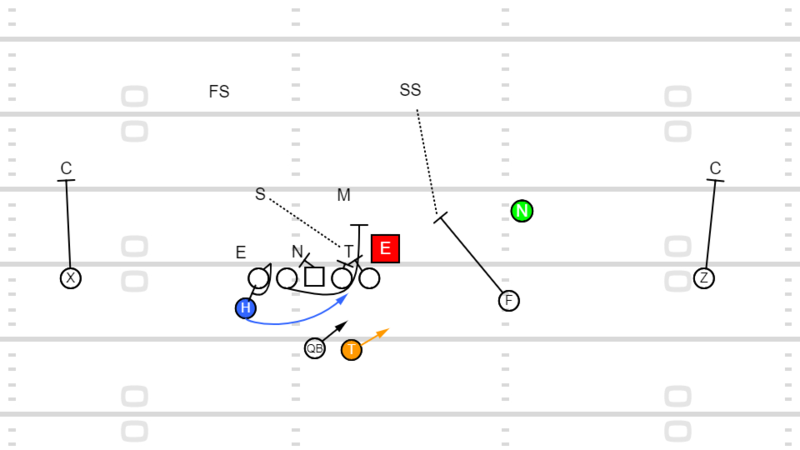 QB Get flat and shovel off 1, option off 2. 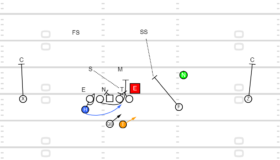 T Get in 4×1 pitch path with QB. If ball is shoveled, carry out fake. H Big step back, then come down hill at an angle expecting the shovel. If ball is kept or pitched, find work. F Seal LB inside you are blocking for pitch. Work to PS Safety if LB is stuck inside. PST Vs 3 double with PSG to 1st LB over the Center to backside. PSG Vs 3 double with PST to 1st LB over the Center to backside. 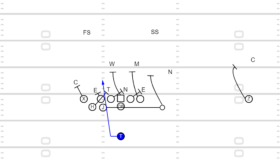 C Block back on 1st defender backside. BSG Pull and wrap looking OSLB to Mike.